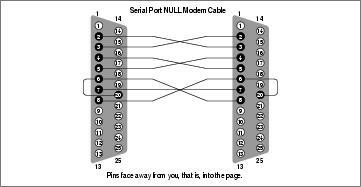 A serial null modem cable will work for both SLIP and PPP. Again, you will need two DB-25 connectors. 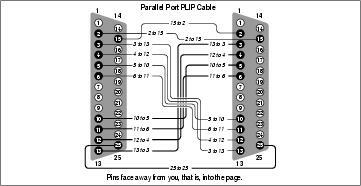 This time your cable requires only eight conductors. Again, if you have a shield, you should connect it to the first pin at one end only.